– Nano Gold and Silver – it reduces bacteria by approximately 99.8% proven thru lab test. 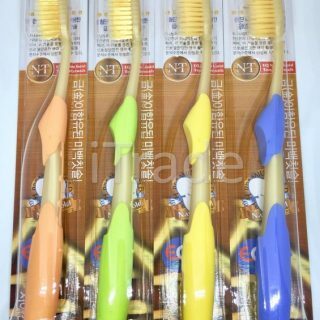 – The Dual-bristles make it durable and lasts 2 times longer than ordinary toothbrush. – Just don’t brush hard, as hard is damaging to your teeth and gum. 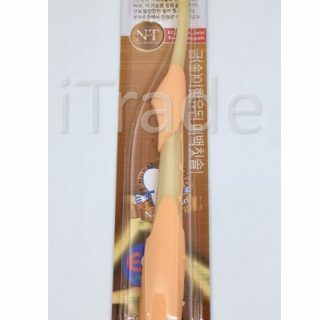 – The long firm bristles help to pick between your teeth. 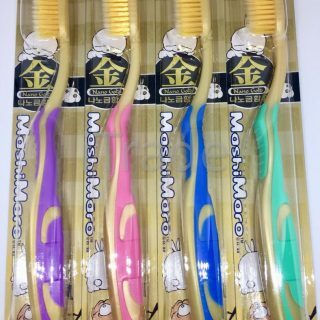 The short firm bristles make it flexible to clean thoroughly between teeth. – Small Bristle size for Teenagers, small set of teeth, wisdom tooth and elderly in between gaps. – When you eat hot, cold, sweet, and sour food, do you feel discomfort? If No, use our Gold (Medium Soft) for normal teeth and gum. 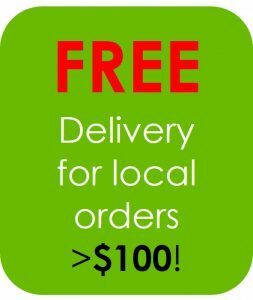 – Combi Silver/Gold for all types of teeth and gum. 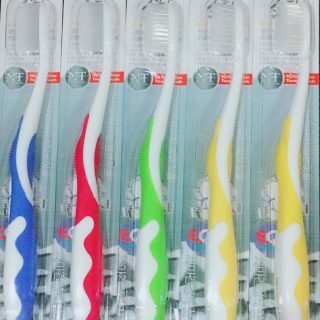 – This toothbrush is so popular that copycats and imitations follow. 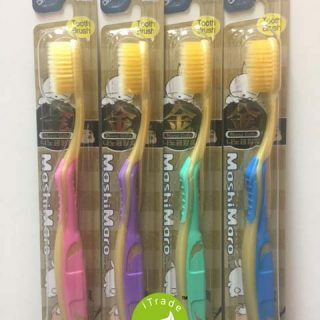 – Recognize our Real Nano Toothbrush by our company label, “iTrade Healthcare Pte Ltd” which is pasted at the back of every piece and appointed 20 outlets for your convenient shopping.